When Doing Math is Reward in Itself: Splash Math is Loved So Much, it is “Earned” by Students! 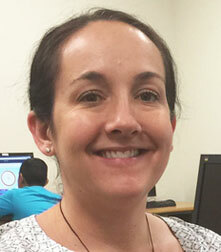 Tiffany Taylor likes to keep her class of twentyfive 3rd graders excited and motivated to learn through the school day, every day. Her main go-to tool for this is Splash Math. She talks to us about her experience with Splash Math through the school year where she uses it as a core component of the math learning program. Tell us how you started using Splash Math and overall how your experience has been using it. Splash Math was recommended to me by a teacher at the beginning of the school year. Since we have iPads and laptops in the classroom I was keen to explore it for fit. I liked what I saw and started using it immediately, and we have been on it through this school year. 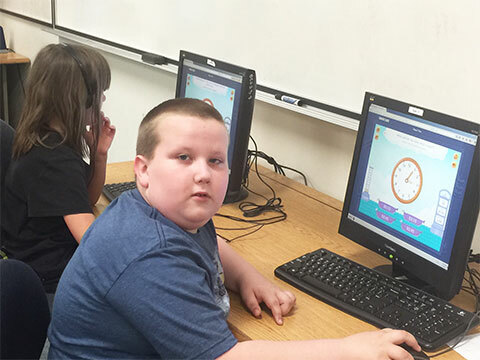 We absolutely love Splash Math here in my class and it has now become indispensable. The learning outcomes have been very positive and beyond my expectations, and as for my students, they are more excited about doing math on Splash Math than most things they do in class. What are some of the things you look for in a math learning tool like Splash Math? As a teacher, the most important thing for me is the content, that is, the curriculum. If that is not complete, and easy to match with my teaching plan, then there would be no point using it however good the rest of the experience was. I was satisfied with the 3rd grade math common core standards curriculum on Splash Math which matched with what I planned to cover through the year, though not necessarily in the same order, and I liked the easy way in which the curriculum was laid out - there was no extra effort needed to look for the content that aligned with my plan for the day or week. The other thing I look for is engagement, and frankly, Splash Math’s a winner, hands down, in that area! My students love it so much, I even use it as an incentive, a reward - they earn “extra time” on Splash Math, and they absolutely love it! 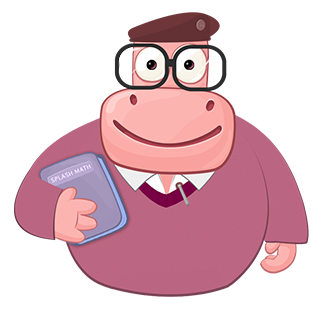 I have some students who would otherwise be indifferent or unwilling to do math happily, but spend many hours on Splash Math, making huge strides in their learning, without even realizing, at times, that they were actually doing math. And that brings me to the third important factor, learning outcomes. I didn’t know this when I first started off with Splash Math and was curious about it’s longer term impact through say a school year, and now when I look at the immense learning because of Splash Math that all my students have had as we approach the end of the school year, and as I look at the mastery of grade-level math skills across the board, I know that it will be an essential and core part of my class every school year going forward. How has it been using Splash Math through the year, in terms of setting up, logging in, and similar operational areas? When I logged in the first time I couldn’t believe how simple it was to set up for all the students in my class. The login process for them was child-friendly and very simple. I have reminders for them and in any case they remember their login details. Because my classroom is not 1-on-1, it is very important for the smooth running of my class that students are able to log in and out quickly and efficiently. I have not had any support issues through the year. In terms of which skills to work on, I am easily able to skip around the sequence on Splash Math, quickly find and match the level and skill that I want students to work on, and instruct them to work on it - the flexibility is amazing! Finally, I find the classroom management tools and reports very useful. One of the reports I was just now looking at for instance, the pie chart, tells me which of my students need more practice, and which ones have mastered the concept I was teaching this week helps me, at one glance, to plan the details of my individualized learning. You mentioned using Splash Math as a “reward” in your classroom. Tell us more! It’s funny how this came about - I realized, very soon into the school year, that my students loved their Splash Math time more than anything else they did in class. I started offering extra time on Splash Math as an incentive or a reward, and that stuck. Another interesting thing I do with Splash Math is contests. I run these, linking it to the time they spend on Splash Math and the goals they meet (like mastering a skill). They earn stickers as they go along, and then I have little prizes for the number of stickers. 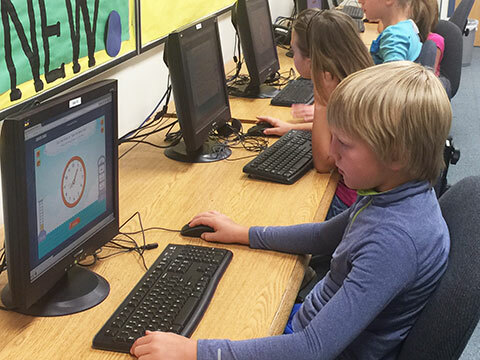 Splash Math makes the class interested and lively, so I am able to link all these exciting and motivating class activities with it. Is there any specific student examples you can give us about the impact of Splash Math on math learning? Absolutely. While my entire class has benefited and I actually have quantifiable results that show me that benefit, I would like to also point out the qualitative impact it has had, through the example of one of my students, Carsyn. Carsyn was among my math students who needed the most help and improvement at the beginning of the school year, and he was not interested or motivated to do math either. When I saw that even he, like all other students in my class, was quite interested in Splash Math and liked spending time on it, I decided to enhance his math learning by giving him the opportunity to use it as much as possible. There was no looking back for him. He was on it for hours in school, and then he would go home and again get on it again! He has in these few months attempted close to 3,000 math problems on Splash Math - an absolute wonder for me, and no less of a shock to his parents as well! He has made amazing progress in math learning, with most grade-level skills mastered, and all set to be among my best math students. With all the hours of practice he’s put in and the different lessons he’s done on Splash Math, he’s moved so far in math, he’s among my best math students now. His mother has often given me feedback - she loves it, and can’t believe how in the course of just a few weeks he developed this “new love for math”. 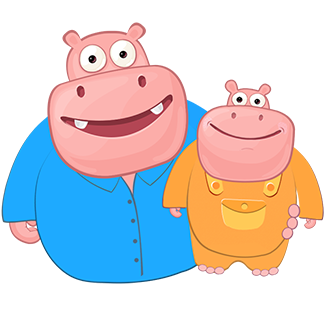 Parental feedback from my class has actually been consistently that, and I know that I will have no problems getting Splash Math for every school year from the PTO. Well, one thing I am happy about is that this has worked for me across ALL students, not just trailing students or the average. There were some students who were ahead, Splash Math helped challenge them further, enabling them to flexibly work ahead at their level. Secondly, they remember what they do on Splash Math, even if it’s many days, even weeks, later. I hear “Oh, I’ve learnt this on Splash Math!” a lot from my students. I realize that it becomes a point of reference for them, it stays in their mind, even if it was a while ago, and they’re able to pull up that memory, recognize the pattern, and apply that learning again. That retention and concept recognition is the absolute essence of learning, and for me as a teacher to see that happening in front of my eyes with my students is nothing short of magical!